Check out this expert interview series with a member of the Medelita team: Ariel Jacoby, Digital Content Editor. View original aritcle at this link. What’s the story behind your lab coats? How did they become the go-to choice for doctors? 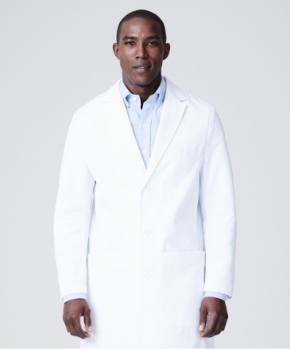 Today we take for granted the connection that physicians have with lab coats, but it wasn’t until the early 20th century that a white lab coat began to symbolize the prestige it carries today. The field of medicine was still coming of age in the 1800s, and many physicians struggled for respect in a time of great experimentation, for better or for worse. In these days, doctors typically wore black clothing, which was considered more formal and appropriate, and which also better hid the stains from their practice. By the beginning of the 20th century, there were many great strides in medicine – from germ theory to the use of antiseptics – and medicine started to become recognized as a true scientific endeavor. As doctors became more respected as scientific healers and the importance of cleanliness began to be understood, the first true white medical lab coats emerged as a symbol of purity and sterility. The patient-doctor relationship grew as a result of the continuous medical advancements, and the white lab coat became established as the go-to symbol of medical authority and respect. What considerations should physicians and other medical professionals make when shopping for scrubs and lab coats? Does it keep you covered and protected throughout the day? Can you easily move around without readjusting your lab coat and scrubs, and remain comfortable and dry while working with patients all day? Do you feel poised and professional when you are dressed in your scrubs and lab coats? Here are the key considerations when shopping for scrubs and lab coats so that you can say yes to all those questions. Fit – The way your uniform fits you affects both your work performance and your personal sense of professionalism. 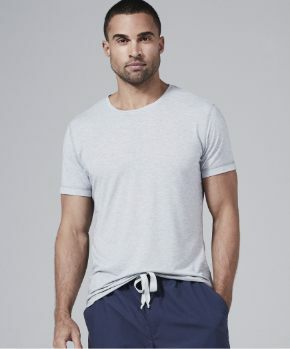 Steer clear of any unisex options; instead look for scrubs and lab coats that are available in flattering, gender-specific styles designed to properly fit the body of a man or woman. Your scrubs and lab coats should also be made with an ergonomic fit that allows you full range of motion so that you aren’t constantly readjusting your uniform throughout the workday. Fabric – Quality starts with the raw materials, so look for scrubs and lab coats made in soft-to-the-touch performance fabrics that have been quality tested. Performance fabrics work for the wearer by wicking away moisture and sweat, repelling stains and making it easier to care for your uniform. The technological features of performance fabrics can extend the life and utility of your uniform, but be careful of claims that seem too good to be true. For example, some medical apparel companies state that their scrubs or lab coats are made with antibacterial or antimicrobial fabric, but unfortunately these claims are unsupported by the FDA and there are currently no commercial uniforms that will guarantee resistance to MRSA or related bacteria. Moreover, some garments that claim to resist the growth and spread of odor-causing bacteria provide this technology as a harmful chemical finish that washes out over time and leeches into wastewater. Instead, look for performance fabric where the bacteriostatic properties are actually imbued into the yarn of the fabric and therefore won’t wash out. 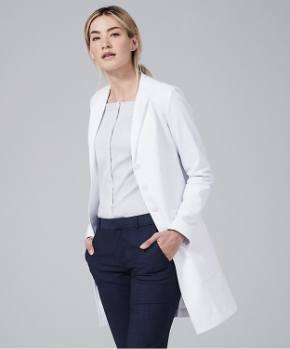 To sum up, medical professionals should look for scrubs and lab coats made in comfortable performance fabrics with a flattering and ergonomic fit that will allow you to have full range of motion, while still looking professional and polished. What are some best practices for caring for lab coats? What about scrubs? What shouldn’t we do? It really depends on the fabric of your scrubs and lab coats. If your uniform is made in an ordinary poly-blend or cotton fabric, you can usually use the same care guidelines as your other clothes, though we do always recommend using medium rather than high heat in the dryer, as the heat can cause shrinkage and shorten the life of your scrubs and lab coats. If you so choose, you can have these garments dry cleaned. We recommend washing your scrubs after every wear, and your lab coat at least twice a week depending on how often you wear it and in what settings. If your uniform is made with performance fabrics, there are a couple additional guidelines to follow, but a good rule of thumb is to care for these the same as you would your high-performance athletic clothes. Do not use fabric softener or dryer sheets when laundering your performance fabric scrubs and/or lab coats; these leave an invisible residue that covers the fibers and blocks moisture-wicking performance features. Another important consideration for caring for your performance fabric lab coats and scrubs – avoid putting them in the dryer. Instead, hang them to dry wrinkle-free. If you must put them in the dryer, make sure to use a medium or low heat. If you need to freshen up the whiteness of your lab coat, use a non-chlorine bleach that won’t cause the garment to tinge yellow. Most stains on both lab coats and scrubs can be removed with an all-purpose stain remover like Oxyclean. How has medical attire evolved in recent years? Historically, the standards of medical apparel set the bar pretty low: shabby, unisex lab coats and scrubs that were not very comfortable and didn’t fit well or look good on anyone. In just the last nine years we’ve witnessed a complete upheaval of the medical apparel industry as more and more clinicians are looking for high-quality, tailored alternatives that allow them to take pride in their professional appearance. In 2008 medical apparel brand Medelita came onto the scene by introducing the very first female clinician’s lab coat, and that milestone has been followed by innovation after innovation as other players in the medical attire industry have tried to keep pace and continued to upgrade clinician uniforms in every conceivable way. 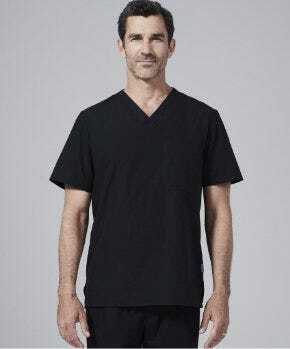 Gender-specific uniforms have now become the new standard for medical professionals, and today you can find a number of different styles of scrubs and lab coats for both male and female clinicians. 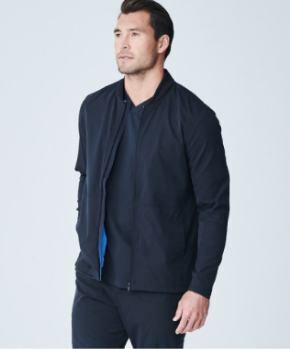 More recently, you can now find uniforms made with performance fabrics that are more akin to what you’d find in athletic apparel (think Under Armour or LuLu Lemon), offering scrubs, lab coats and even underscrub shirts made in performance fabrics that are more comfortable and more technologically advanced than regular poly-blend or even 100 percent cotton. Why should personal appearance be a priority for physicians and NPs? Some people are quick to dismiss personal appearance as a frivolous matter, but the truth is that how you present yourself professionally affects every aspect of your work and this is especially true in the field of medicine. Studies have shown that patients have higher satisfaction and greater confidence in their medical providers if they look professional and are wearing nice scrubs and lab coats. The imagery of a clean, well-fitting uniform is a strong visual cue for patients, a symbol of the role you have taken on in caring for people, and it allows your patients to have greater trust in your abilities. Beyond just your patients, your personal appearance does affect your job performance. If you don’t look professional, you probably won’t feel professional, and that will take a strain on the quality of the care you provide. Given the amount of time, energy and hours of sleep that you have sacrificed to your medical career, it makes much more sense to dress in scrubs and lab coats that reflect the same level of aptitude and professionalism that you bring to your patients every day.